As a kid, I remember building elaborate Hot Wheels tracks with ramps that went as high as the ceiling in our living room. 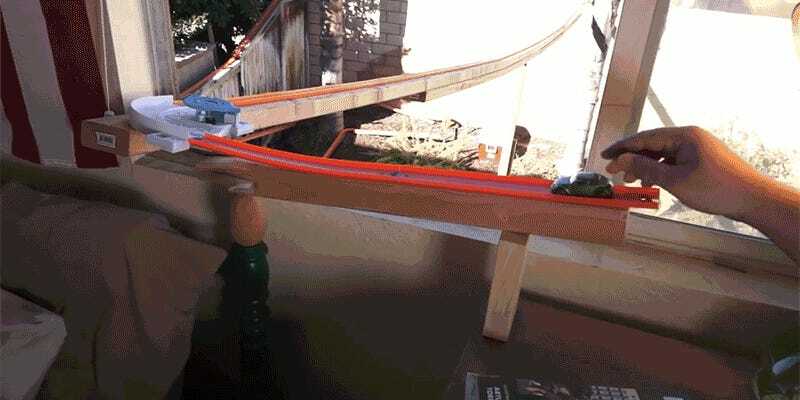 But the folks behind the YouTube channel 5MadMovieMakers have one-upped eight-year-old me by starting their gigantic Hot Wheels track from a second-story window. The filmmakers must have sourced their Hot Wheels track pieces from every toy store in the tri-state area because the course they’ve constructed zig-zags back and forth through their backyard and garden. 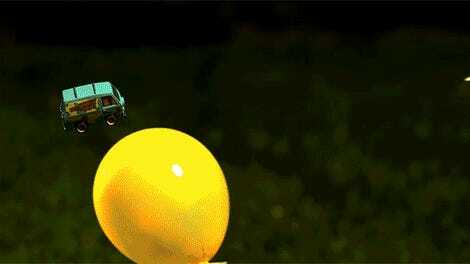 It’s even more impressive when they send a camera-equipped Hot Wheels car racing down the track, giving us a first-person view of what it’s like to drive with abandon.